Our spectacular new Piñata cake is packed full of surprises. 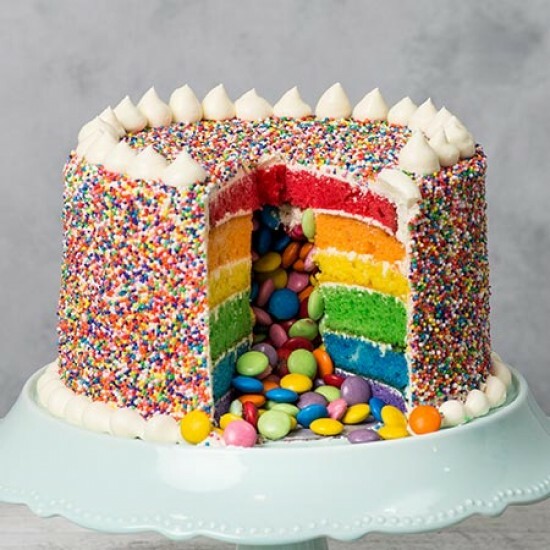 Six layers of rainbow cake conceal a surprise with multi-coloured smarties hidden in the centre. Serves 18 people. 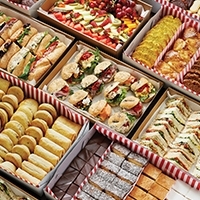 To maintain the best eating qualities refrigerate in an airtight container away from heat and sunlight. Our spectacular new Piñata cake is packed full of surprises. 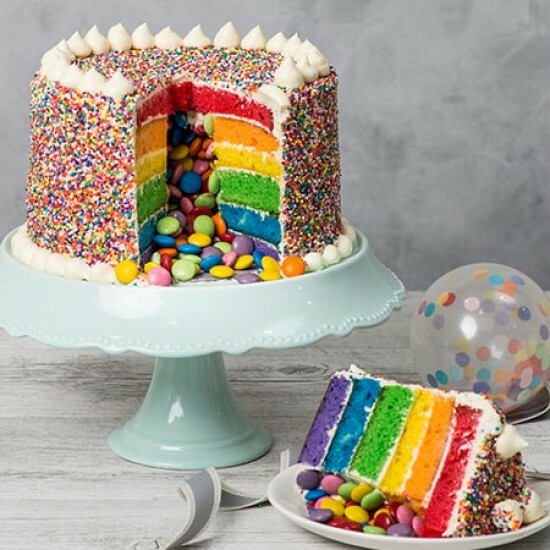 Six layers of rainbow cake conceal a surprise with multi-coloured smarties hidden in the centre. 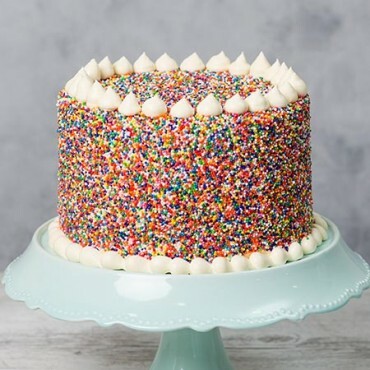 The cake is decorated with a delicious vanilla cream and topped with colourful hundreds and thousand decorations. Looking for a customised chocolate plaque? Simply call or visit your local store and order one to collect with your cake order!